2018 Queensland Health Graduate team. 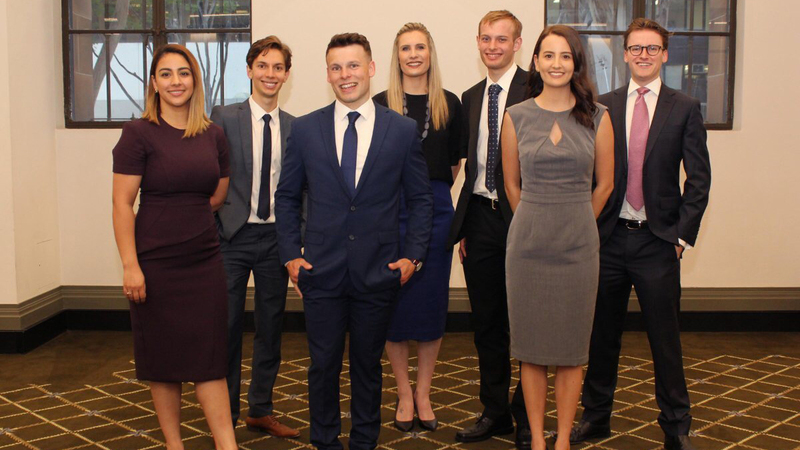 The Queensland Health Graduate Program (QHGP) is a 3-year development program aimed at improving organisational capability in financial and general management, particularly in regional and rural areas of Queensland Health. The program, targeted at recent tertiary graduates, provides accelerated development through formal and informal training and development, mentoring, networking, and hands on experience. Graduates will undertake four 20-week placements and one 40-week placement over the course of the program, providing them with experience and exposure to metropolitan, regional and rural Hospital and Health Services (HHSs) and the Department of Health. One of our Finance graduates, Sarah Weeding shares 8 things she’s done within the first two months of the program. After our 3 day orientation in Brisbane, the 8 of us graduates went our separate ways to start our program. I packed my bags and boarded my flight to Cairns, my new home for the next 6 months, for my first regional placement of the Queensland Health Graduate Program. 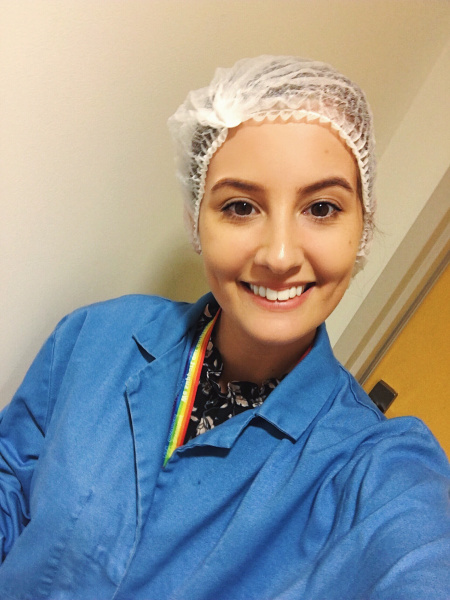 As I am new to health, I spent my first week at Cairns Hospital getting to know the different functions including Patient Flow, Nurse Resource Management, Support Services, Community Health and Building, Engineering & Maintenance Services. This is a photo from when I spent time with the kitchen staff. I worked in the production line for the lunch service and helped make over 700 jelly cups! This week was extremely beneficial for me to learn what really happens on the front line with our clinical and support staff. My day to day job is at an office away from the hospital, so it was a fantastic experience to spend the week on the ground at Cairns Hospital. I participated in finance management assurance testing which involved trips to rural hospital pharmacies in Atherton, Mareeba and Mossman to test stock samples and analyse internal financial controls to provide assurance to our CFO. It even involved counting individual tablets with tweezers – that’s how far we go to ensure accuracy! I am also attending asset stocktakes in the next few weeks at other facilities south of Cairns in Babinda, Innisfail and Tully. I am so lucky to be living in tropical Far North Queensland. I have spent most weekends getting to know the area with trips to Palm Cove, Kuranda, Baron Falls, Port Douglas and Mossman Gorge. I am yet to visit the Great Barrier Reef and the islands off Cairns – hopefully in a couple of months when the wet season is over! I attended the James Cook University Careers Fair at the JCU Cairns campus. 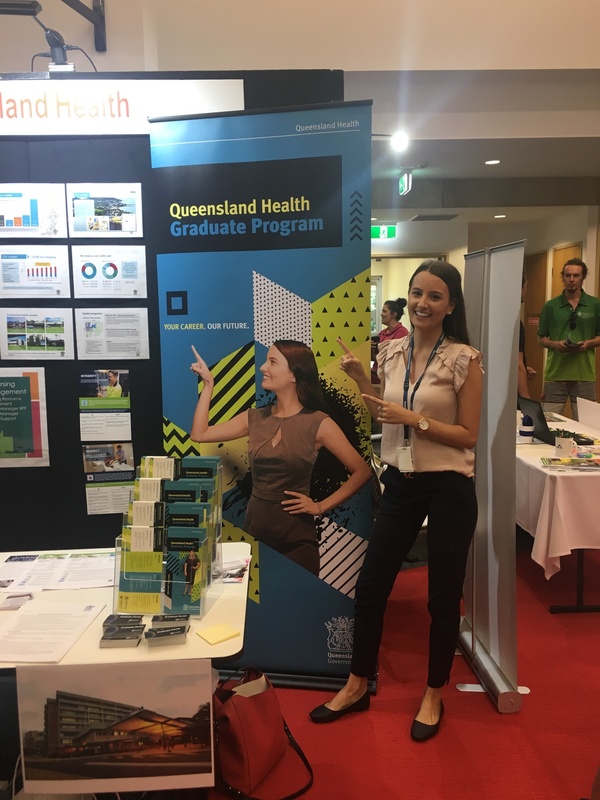 Here I had the opportunity to promote our program to university students nearing the end of their degree and spread the word about non-clinical graduate programs offered at Queensland Health. Recruitment for next year’s intake of the Graduate Program has commenced through the Graduate Portal. My team and I attended the Health Finance Fundamentals Program in Cairns which gave an overview of finance functions and systems within health. It covered a variety of topics including current challenges in health finance, budgeting and forecasting, governance, clinical costing and revenue. There were representatives from Torres and Cape Hospital and Health Service and Central Australia Health Service in Alice Springs. It was interesting to hear the different challenges faced by other health services and I am excited to attend the National Congress in Brisbane in April to learn more. The graduate program includes post-graduate qualifications to help us build leadership skills in health management. Although it has been a challenge to get back into study after graduating from university in July last year, it has been a lot easier to study while working away from home – there are a lot less distractions! Wish me luck for my first exam in a couple of weeks! My biggest fear when moving here was being alone, as I didn’t know anyone in Cairns. I already feel I have grown as a person, I make sure I say ‘yes’ to every offer for coffee, brunch, dinner or Friday drinks and have been lucky enough to meet a group of girls who are also new to Cairns and are always keen to explore the area on weekends. The other graduates in the program are all in different locations around the state and we all keep in touch and share stories from our journey so far. I am excited to see everyone again at our first professional development week back in Brisbane in April! Do you want to make a meaningful contribution in Queensland Health and fast-track your career into a leadership role? Applications are now open for the Queensland Health Graduate Program.